Replies: 18 (Who? ), Viewed: 7487 times. 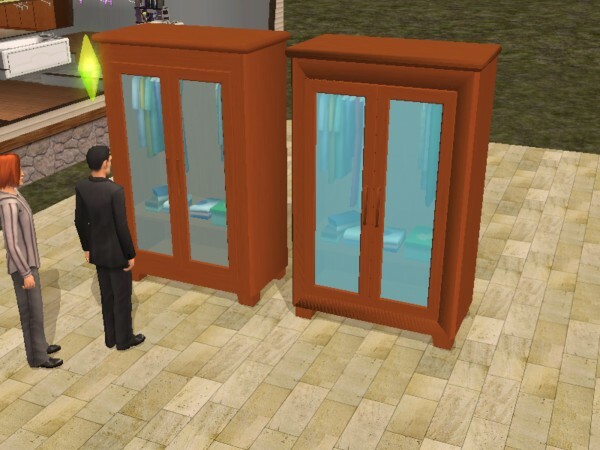 Before I spend hours working on something that's doomed from the start, I would like to ask the more experienced modders if it's possible to make an armoire where the doors would be composed of two subsets instead of one, and still retain the animation. What I want to do is add glass to the doors besides wood, but it'd have to be a separate subset with its own material definitions and such, or it wouldn't look good. Can I assign two groups to one Maxis group (like two left doors) with the Mesh Tool, or could I maybe add a new GMDC entry identical in structure to the original one with the meshes and import that through the Mesh Tool the same way? 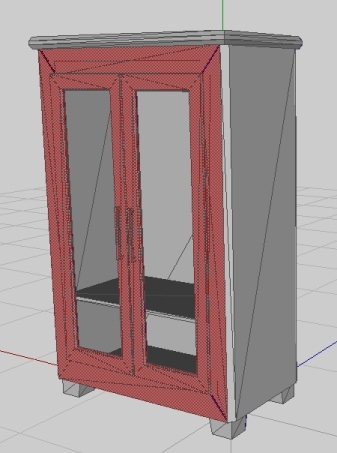 I have made one regular animated armoire before, and I know how to do that, but I don't understand the process deeply enough to tell if this is possible. Yes, you can what you say. I don't remember how flexible is the Meshtool; Milkshape + GMDC plugin can do for sure; Milkshape + .txt importer/exporter will probably do; SimPE alone should be able, too, but I've never tested this feature. Let's explain the Milkshape+GMDC plugin method. IMPORTANT - this new mesh should be conveniently divided into five different groups: wood-body (the wooden part non animated), wood-door-left, wood-door-right, glass-door-left, glass-door-right. Obviously, the group names can be freely changed, but I'd use those suffixes (body, door-left and door-right) so I can always know what parts are to be assigned to each joint. HINT: take a look at the original GMDC with SimPE (in advanced mode): in the last tab, you can see which joints actually have some vertices assigned, and you can preview them; I suggest to keep open SimPE in the background, as a reference for the joint names. - switch back to the "Joints" tab and click "Assign"; IMPORTANT: don't click anywhere but on the said tabs and buttons, or you may lose the selection; in particular, you don't have to select again the joint: it's already selected, and you only have to click "Assign"
- do the same with the last joint (the right door). Last step: go back to the Groups tab, delete the old "wood" group; then regroup wood-body, wood-door-left and wood-door-right and rename them as "wood"; regroup glass-door-left and glass-door-right and rename them "glass". Now you can export the GMDC and import it in SimPE, overwriting the original one. Check in the Joint tab (in SimPE) if the assignment are correct (by previewing the joints). #4 1st Nov 2005 at 9:49 PM Last edited by IgnorantBliss : 2nd Nov 2005 at 9:57 AM. OK, I did everything according to your instructions, and actually managed to make the animations work correctly, with the glass and all . Now, I just have a problem that probably has to do with the uv-mapping: when I zoom in and out of the armoire in the game, it seems to me like it keep switching between two different uv-maps. It's happened to me sometimes before, but this time I have no idea why. I mapped the armoire before dividing it into the five groups for the joint assigning (because I thought it would be difficult to map it with just those five groups left since it's a complicated mesh), and did not export or import any texture maps after that. I would very much appreciate if you could tell me how to fix it. I'm attaching the package here just in case you want to take a look. #5 1st Nov 2005 at 11:16 PM Last edited by Numenor : 2nd Nov 2005 at 1:38 AM. It's a mesh problem, not the UV mapping. See the attached pictures: if I delete the faces marked in red, I reveal another copy of those faces hidden behind the deleted ones. Here is the fixed package. The procedure I've used may be quite confusing, so I'd better not explain it in detail. 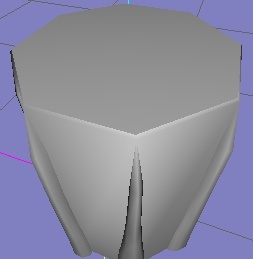 In brief, I've "ungrouped" the mesh, fixed the smoothing and saved each part as .obj. Then I've imported all the parts in SimPE, deleting all the existing groups (obviously this made me lose the joint assignments). I've manually assigned each part to the related joint using SimPE ("groups" tab in the GMDC). At this point I had to regroup the mesh, and this can't be done with SimPE. So, I've exported all in MS-Ascii .txt, imported in Milkshape, regrouped the parts and exported in .txt. Lastly, I have imported the .txt into SimPE, again checking the option to remove all the existing groups. The final step was to "rebuild" all the joints (in the "Joints" tab) and rebuild the translations (in the "Model" tab). As you can see from the picture, I finally managed to keep the smoothing made by UV mapper! This is very important for me: I really hate that odd smoothing made by Milkshape... (in the pic, your original armoir is on the right: apart the graphic glitch due to the duplicated mesh, you can clearly see the bad smoothing). #6 2nd Nov 2005 at 4:41 AM Last edited by IgnorantBliss : 2nd Nov 2005 at 4:52 AM. Thank you very much! Yeah, I noticed the ugly smoothing from Milkshape, too, and I had an idea how to fix it, although it was probably different from what you did. It looks much better now! Now, I wonder what caused all the faces to be duplicated? Does this mean I'll have to use the txt format from now on to make objects like these work properly and look good? If it's too complicated to explain in detail, I fear it's going to be something I'll never figure out on my own . #7 2nd Nov 2005 at 8:41 AM Last edited by Numenor : 6th Feb 2006 at 4:25 PM. I noticed, too, that the "second copy" wasn't uvmapped (and this means that the whole "second copy" only used only the top-left pixel of your mesh). In detail, there isn't much more to say. 1) Exporting from SimPE - You don't have to "extract" the whole GMDC, but rather "export" the mesh in "Milkshape 3D Ascii (txt)" format; before exporting, be sure that all the models ar checked in the model list (on the left of the preview); also, select the "XZY" orientation. 2) Importing in Milkshape - This time, you have to import using the Milkshape Ascii menu entry, instead of the GMDC importer; you will notice that now the joints aren't simple circles, but are actually connected each others (precisely, the "bones" are shown, along with the joints); you will also notice, in the Joints tab, that now the joints are displayed with their actual name (it's much easier to understand which joint you are selecting!). 3) Exporting from Milkshape - Again, use the MS-Ascii format (if you import in txt, you can't export in GMDC anyway...). 4) Importing in SimPE - This time you don't have to "Replace" the GMDC, but rather "Import" the mesh in txt format. Before starting, be sure that the selector is still in the "XZY" position. When you select the mesh to import, a window will open, listing all the groups and joints contained in the file; be sure that each imported mesh "Replaces" the original one. COMMIT and SAVE. 5) (REMOVED: inaccurate info. Be sure NOT to click the "Rebuild Joint" button, in the GMDC - "Joints" tab! It will screw your package, and you can't fix it: you'll have to re-clone it). It's important to master different methods of importing/exporting, because often you will need to use both of them (a third method, that uses the MeshTool, is fully explained in the MeshTool thread: I use it more and more rarely, by far, but sometime it's a life-saver, when everything else fails ). About the duplicated mesh: which tutorial have you followed? If you have made this mistake, that tutorial is definitely unclear on this point! Thank you very much for the detailed explanation! I will have to try this, too. The first time I made an armoire (a regular one), I followed the mesh tool tutorial for armoires by JWoods, but I think I prefer the Milkshape plugin way after using it now, since it's more visual (the 3D preview in Mesh Tool doesn't seem to work properly for me). I think I may know a way of avoiding that ugly smoothing by just using the Milkshape+GMDC method I did. If you noticed, most of the armoire was not smoothed in an ugly way, only the front of the armoire base, and the door handles. If, while uv-mapping, I map the front and back facing faces separately (as a separate group) from the faces that face up and down, the ugly smoothing doesn't happen. This is how most of the armoire was mapped and those parts still looked like they were supposed to. I hope my explanation makes sense . 5) This last step is necessary only when you use the TXT format: you have to "Rebuild" all the GMDC data that has been lost/altered during the process. To do so, select the GMDC and go to the Joint tab; select in turn each joint and click "Rebuild"; go to the Model tab and click Rebuild (this last part isn't necessary, but it's good to perform anyway: it ensures that the translations contained in the GMDC are identical to the ones that are in the CRES, and should be done every time you alter the GMDC or the CRES). If you select "update" for your bones and not "replace" you don't have to do the rebuild. NP You should have seen me tearing my hair out getting the animations/joints right on the dolls I've done! #12 19th Jan 2007 at 4:19 AM Last edited by Dr Pixel : 19th Jan 2007 at 4:27 AM. The improper shadowing can be easily fixed in MilkShape by using the Smoothing Groups section on the Groups tab. The "smoothing groups" are totally un-related to the mesh groups (subsets) - they are used only for smoothing, and are not exported with your mesh. Any faces, from any mesh group, can be assigned to any smoothing group - they will still stay in the same mesh group, and will keep their uv_mapping. The results of the smoothing (the alignments of the normals) ARE included with your mesh, but not the smoothing group assignments, so when you are working on a mesh always save it for future editing as a .ms3d file to preserve these smoothing groups. The bad shadowing is caused because, by default, MilkShape assigns everything to Smoothing Group #1. This usually works OK, except for places where the mesh has a sharp corner. These can cause things to go badly. For example, here is a table with tablecloth I am making - notice the bad shadowing on the top. It is totally flat, but looks lumpy because of the shadowing. So, I carefully select all the faces of the top only. Now I do a "smooth all" - and now the tabletop looks correct, flat like it should be. And yes, also sometimes if you re-do the uv_mapping of certain sections of your mesh it can cure the shadowing, because it is in effect "disconnecting" the vertices at the sharp corner so they will each take on their own normals instead of sharing the same ones. Thanks for the tip, Dr. Pixel. I usually solved the smoothig problem by splitting my mesh into several groups before uv-mapping and only combining them after mapping. But your technique sounds better. Thanks Dr. Pixel! I always thought that since the smoothing groups are not exported, the benefits of subdividing the mash in smoothing groups would have been lost, too. But your explanation proves me wrong! This technique is extremely useful when you can't work in OBJ format, and therefore you can't pass the mesh into UVmapper before importing it in SimPE. After hours of searching and trying to comprehend what I was reading, I finally understood how to export/import in the .txt format (MANY thanks Numenor!) Now the problem I’m having is in posts #2 and #7 is it never mentions how you get the object UVMapped (since it can’t read the .txt files). I really hope this isn’t a stupid question. I had finally finished a stove I had started 6+ months ago, got it in the game where it works just fine except the glass on the door is the only thing that is animated making it look rather weird. Does the whole mesh need to be rebuilt (like in post #2) or is there a more simple way? I really tried my best to see if this had been addressed somewhere but I’m almost at a loss. The only hope I’ve had is knowing that Shannanisims accomplished it. I’m hoping the solution is simple, but I’m just somehow missing it. #16 3rd Aug 2007 at 10:14 AM Last edited by Numenor : 3rd Aug 2007 at 10:19 AM. I think that Milkshape has UVmapping capabilities, but I've never used them. I use a different procedure, that involves using Wings3D (my favourite editor, that unfortunately doesn't support joints) and UVmapper (to create the UVmap and smooth the mesh). My personal method is the one briefly described in my earlier post #5; it's NOT - for sure - the most efficient method possible: it's just MY personal method I will now explain it in detail, but you don't have to follow it exactly: if you can reach the same goals using Milkshape only, please do. First off, I extract an original Maxis mesh in both TXT ASCII and OBJ format. Then, I create a mesh with Wings; I use the original Maxis mesh (OBJ format) as a reference for the dimensions; sometimes I just modify the Maxis mesh. 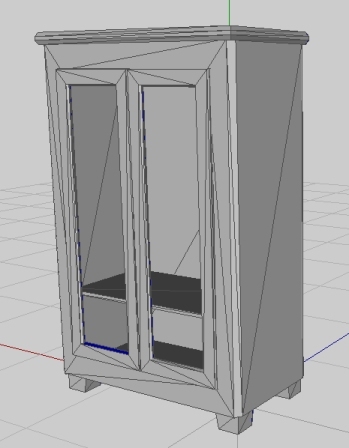 When creating the mesh starting from scratch, I keep the animated parts in separated groups: for example, the original "body" mesh of an armoire will be split in "body-static", "body-leftdoor", "body-rightdoor". When modifying an existing mesh (that is already grouped into one single "body" mesh), I use the ungroup feature of Wings, that splits the mesh in many small parts, and then regroup together all the parts related to the left door, the parts related to the right door, and the remaining static parts (thus creating the three mentioned groups: body-leftdoor, body-rightdoor, body-static). I export everything in OBJ format, and load the OBJ into UVmapper. Using UVmapper, I create the UVmaps for all the groups (at this stage they are still separated in lefdoor (rightdoor and static). I apply also the best smoothing to the various pars, and save again in OBJ format. Then, I load the original Maxis mesh in ASCII TXT format (this is necessary to load the joints and to view how the mesh is connected to them). One by one, I select the joints (ini the Joints tab), and click "SelAssigned", just to see what parts of the mesh are connected with the various joints. This is needed to know that e.g. the left door is connected to the "leftdoor_rot" joint etc. In the groups tab, I select the "body" group and delete it, because I'm going to replace it with mine. Now, I import the OBJ file freshly exported from UVmapper; in the Groups tab of Milkshape I will see the three groups I've split my mesh in (body-static, body-leftdoor, body-rightdoor). In the groups tab, select the group "body-leftdoor" froom the list, and click "Select"
Back in the Joints tab, click immediately the "Assign" button (DON'T re-select the joint: it is already selected, and if you click it, you will lose the current selection, and you have to go back to the Groups tab). Do the same for the rightdoor and static groups (select joint -> select group -> assign to joint). In the Groups tab, select all the three "body-..." groups at once, and click "Regroup"; the merged group will be assigned an automatic name like "Regroup01"; select this new group and click "Rename", and assign it the name "body" (now, with NO appendages like leftdoor etc). Export the whole mesh as ASCII TXT and import it in SimPE. The simplest thing to do if you are using MilkShape is to just do your uv_mapping right in MilkShape. MilkShape's built-in uv_mapper is not as flexible as outside uv_mapping programs, but once you get used to it it is definately quite workable, and there are some definate advantages to uv_mapping each new part when you create it, rather than trying to uv_map the mesh in it's entirety after you have finished it. I cannot thank you enough Numenor! I GREATLY appreciate the time you have taken to help me, I was afraid I wouldn’t get any sort of answer. I’m a bit tired at the moment for testing this all out but it finally makes sense from just the read through. Yay, there is hope in sight! I think I will read more into the UV mapping in Milkshape to see if it’s possible, but most likely I’ll do a work around so I can use my UVMapper Pro (I love that program even though I hated the Classic version). 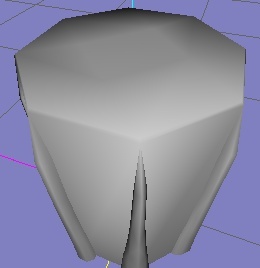 *tromps off to poke at Milkshape* Hey look, it can do uvmapping! Doing it this way would keep the maxis mesh in the original .txt format (if I’ve figured it right). And if so, does that mean I don’t have to rebuild the joints and it should still work properly? Well the animations work fine now, but the mesh pieces I added to the stove appear and disappear when the stove is being used, essentially everything that’s not the Maxis mesh. Most likely another simple solution but I don’t know how to fix it. Thank you Dr. Pixel for reconfirming for me that using the UV mapper in Milkshape is fine. I ran it through my UV Mapper Pro simply because without it I can’t map a mesh for the life of me. All new vertices you have added must be assigned to the correct joint of the mesh or they won't work right. Use the assignments of the original Maxis parts as a reference. Go to the Joints tab, and in turn click on the name of each joint. Then click the [SelAssigned] button. 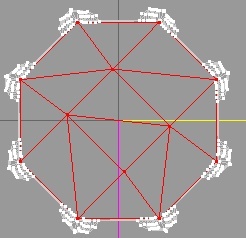 If any vertices are assigned to this joint, they will turn red. Not all joints will have anything assigned to them. Most of the parts - the non-moving ones - will be assigned to one joint. The ones for animating parts will be assigned to a different joint, for example the vertices of the opening oven door.